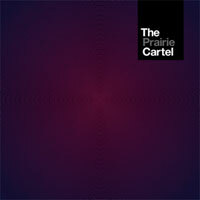 The Prairie Cartel are a Chicago supergroup lead by Scott Lucas of Local H. Former members of Chicago bands Fig Dish and Caviar round out the lineup. I suppose you could best describe their music as a bit like the dance-punk of LCD Soundsystem. They use mostly live instruments with some synths, samples, and keys throw into the mix. If you played Grand Theft Auto IV, you would of heard this song on the Radio Broker station in the game and they had a whole station devoted to their music in Grand Theft Auto: Chinatown Wars. The song is a cover of a song by British proto-punk band, 999. (By the way, 999 is the U.K.'s equivalent to dialing 911 in the U.S. for an emergency.) It's a fairly faithful cover with the anthem shouting during the chorus, but there is definitely a dance-y spin to it. The bass line pops, it reminds me of the "Peter Gunn Theme" at the beginning of the song. There's some vocal samples used here and there. Some electronics scattered around and the cowbell comes in during the intro and outro. Interstingly enough, another supergroup covered this song, but without the cowbell. Error was a one-off project of sorts that consisted of nine inch nails collaborator Atticus Ross, his brother Leopold Ross, and Bad Religion's Brett Gurewitz. Greg Puciato of the Dillinger Escape Plan provided guest vocals for the track and the lone eponymous EP that they produced.